Real Good Food plc have announced they are investing £15 million in expansion at two of their manufacturing sites. The company confirmed they have decided to embark upon an expansion plan at two of its subsidiary companies, Renshaw, that manufactures cake decoration products and Haydens, that produces premium bakery products. The two main areas of investment are at Renshaw’s Crown Street site in Liverpool and Haydens Bakery in Devizes. Both these businesses are seeing significant increases in forward demand; this has been driven by international expansion and the launch of a mainstream retail brand at Renshaw and the acquisition of two major new retail customers at Haydens. 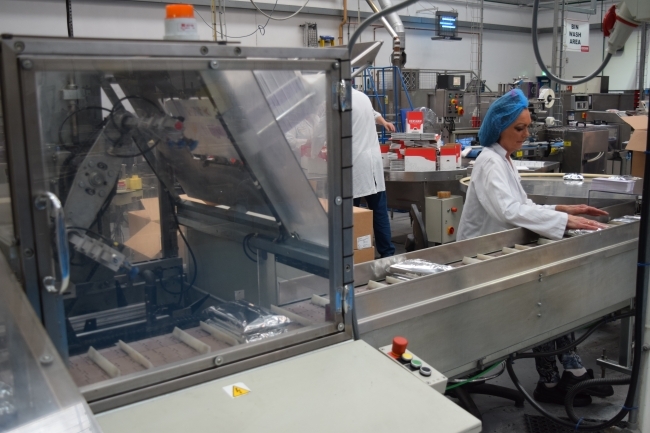 At Renshaw, the Company will invest approximately £7 million in expanding capacity by over 50% as well as the installation of new soft icings and discs production lines which support the strategy to broaden the offering to mainstream users. At Haydens, the acquisition of two new major customers has put short-term pressure on operational capacity and the company will, therefore, invest approximately £8 million in order to reconfigure site operations, including blast freezing capability and the installation of a new, automated Yum Yum line. This is expected to take site capacity from its existing level of up to approximately £30 million revenues to over £50 million of revenues. Both of these investments, as well as increasing capacity, bring significant benefits in efficiency, upskilling the workforce and mitigating the impact of the forthcoming Living Wage increases. The majority of the expansion is expected to be completed by the end of September 2017 and is budgeted to cost approximately £15 million in aggregate, with the additional capacity provided expected to commence delivering significant financial returns for them from the financial year commencing 1 April 2018. The company also confirmed that it expects to report revenues of £109 million when it announces final results for the year ending 31st March 2017 in July. Pieter Totté, Executive Chairman of Real Good Food, commented: “As we have already advised shareholders, we believe that there is a significant opportunity to invest in our operating subsidiaries to drive more efficiencies, customer growth and improve operating margins, which ultimately will accelerate the Company’s organic growth. We have already embarked upon this within our Cake Decorating division and are seeing positive results in order intake at Renshaw and Rainbow Dust. The Board has taken the decision to accelerate our investment programme into other divisions, including a major increase in capacity at our Haydens site within the Premium Bakery.